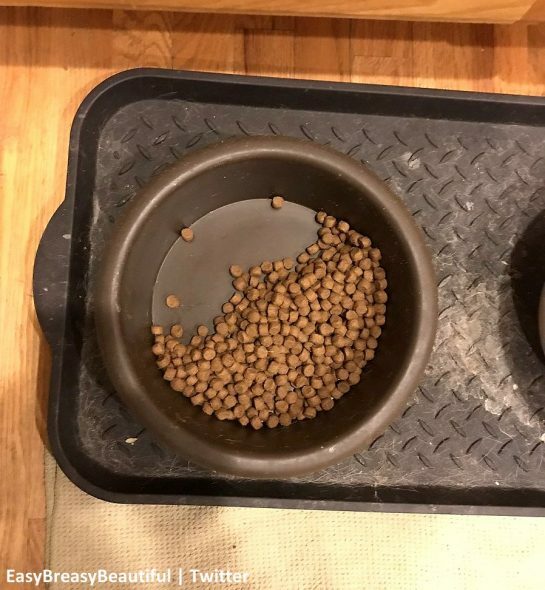 Cookie’s dad, Easton Darfur, recently tweeted a photo of her food bowl, and the reason why it’s half-eaten will melt your heart…. Easton had two dogs named Stitch and Cookie. When he brought Cookie home, Stitch showed her how to share a food bowl, and trained her to only eat half of the food so the rest was left for him when he felt like eating, so she’s always eaten only her side of the bowl. 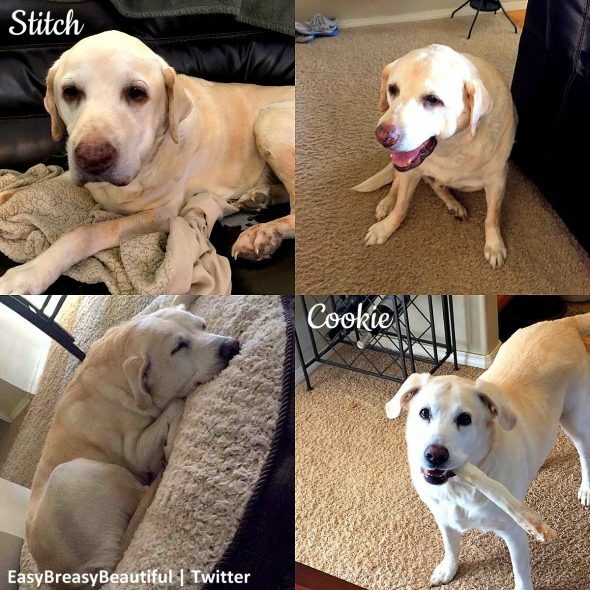 Sadly, Stitch recently passed away. Cookie now has the whole food bowl to herself, but old habits die hard. Easton put a little less kibble in, but Cookie still only ate her half, saving the rest for her big brother.